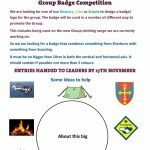 This is a great opportunity for your Beaver, Cub or Scouts creative genius to design the group a great logo/badge. This will be used to promote the group and on the group clothing range we are trying to organise. 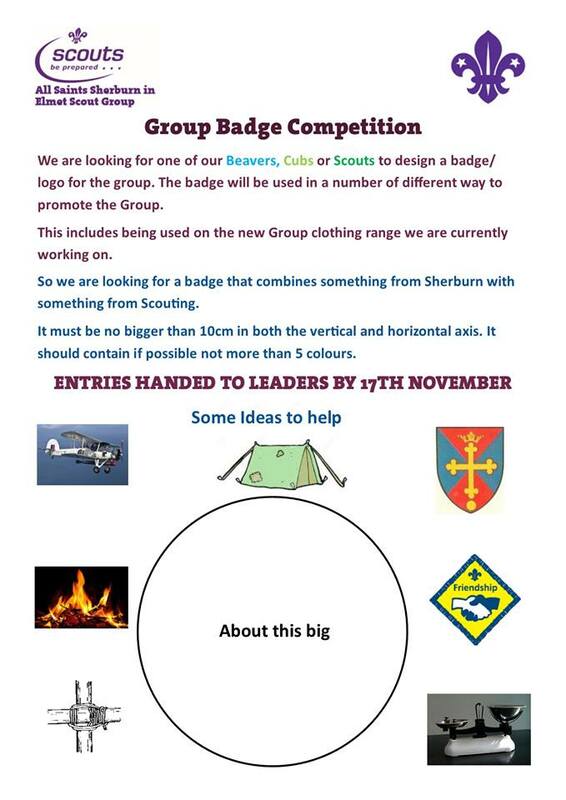 So to enter your Beaver, Cub or Scout, needs to come up with a design that combines something of Sherburn and something from Scouting. So, for example, they could use King Athelstan’s shield and put a tent on it, or the Sherburn windmill with a campfire. So it across to them to do their research and let the creativity loose. Entry form (attached) need to be with section leaders by the 15th November, for judging by the executive. Names and ages on the form please!